ca. 440 - 430 B.C. 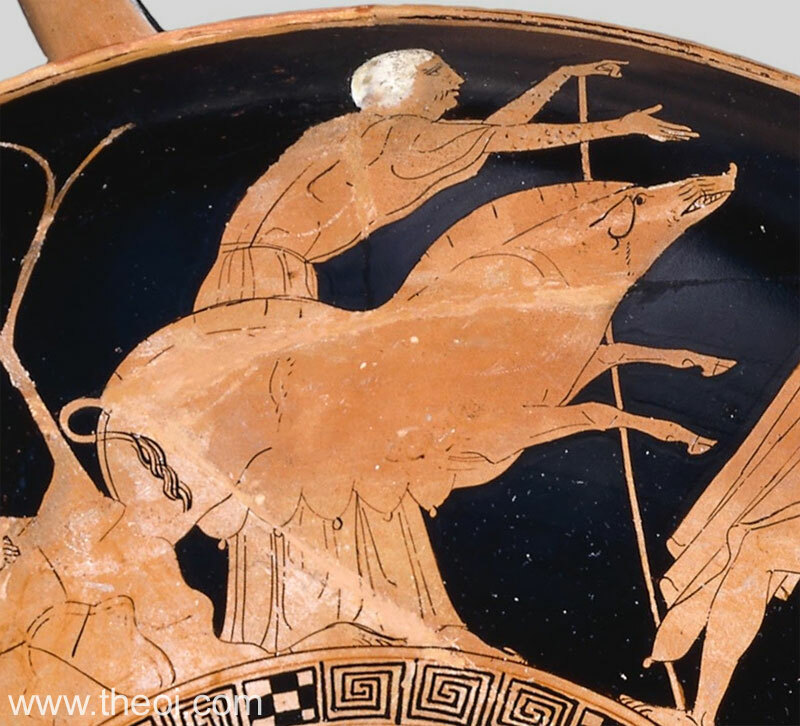 Detail of Theseus fighting the Crommyonian Sow from a painting depicting the labours of the hero. 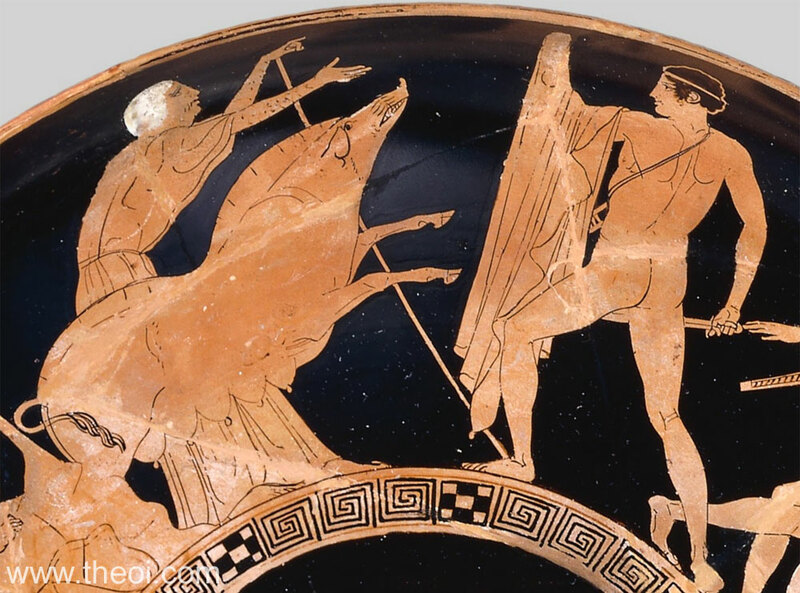 The hag Phaea drives the Crommyon Sow against Theseus. The hero brandishes a club and wears his cloak draped over an arm like a bull-fighter. Phaea is depicted as a bent, old woman with white hair. The sow is an oversized beast with heavy udders. Detail of Phaea and the Crommyon Sow.